Read Milgard windows reviews from consumers and contractors on the Tuscany, Styleline, Ultra and other popular window series. These are opinions within the community on pricing and costs, success or frustrations they have felt dealing with this company and their product lines. I live in San Diego and had a few estimates from local companies – all the usual suspects out here; Milgard, Anlin, Amerimax and Simonton. The house is nice but nothing crazy and we definitely wanted to go with the vinyl windows for the cost. The company with the Milgard had either the Tuscany or the Stylelines and he broke it down sort of like this. The Styleline is a little more modern looking, about 10% cheaper and less energy efficient because it has a thinner frame (however it had more glass area exposed, which was nice for some of the smaller openings). The Tuscany has some nice upgrades like a better locking deal and vent stops, has a more classic look to it, but it is kind of bulky (especially when compared to the Anlin windows). At any rate, I liked the Tuscany and the pricing seemed very good – about $440 per window installed (I had 8 windows all diffferent sizes). In the end, I actually went with the Anlins, but the Milgards were a solid second – although kind of plain looking. Amerimax is considered more of a regional, high quality manufacturer. Here are some standard hardware features on most products 36″ or larger – super spacers, triple weatherstripping, double strength glass, tilt ins on their single hungs, brass rollers, 8 vinyl & sloped chambers, 4 weep holes and 2 cam locks. They offer a bunch of grid options, 10 exterior frame color choices and low-e270 & argon fills on their standard glass package. The glass is a great feature as it qualifies for tax rebate, where many others require an upgrade to qualify. The Tuscany is a solid choice, significantly better than their Classic line, but inferior in lots of ways to the Amerimax windows. Here are some standard window hardware features on their products – intercept spacers, double weatherstripping, single strength glass, no tilt ins on their single hungs, nylon rollers, 7 vinyl chambers and 1 cam lock. I do like their auto lock feature, although it isn’t all that secure for larger sized windows. Customers must upgrade to the 3D MAX glass package in order to qualify for the tax rebate. As for the Amerimax patio doors, their standard product includes a metal key lock on the outside, a footbolt lock upgrade, aluminum sill cover and 10 handle finish options. I think they make a very good product and offer solid customer service. On the Milgard Classic (they don’t yet offer the Tuscany) they offer a plastic handle on the outside, no footbolt lock option, an upgrade to a key lock and 3 handle finish options. Again, I don’t think it measures up to the Amierimax door. I will say this – Milgard has excellent marketing. Pricewise, you are going to pay more for the Amerimax product, both on the windows and the doors. The doors are going to be a lot more expensive. Amerimax is also going to be harder to find dealers for their products, where Milgard is a national brand with many dealers across every section of the country. As far as windows, if neither one of these products is available or convenient, a comparable window is the Simonton 7300 or 7500. I live on a busy road and two months ago installed the Milgard QuietLines (45 STC rating). They were expensive (I think I paid about $800 per window, which I believe is actually a very good price), and worth every penny. My condo is now soooo much quieter, the main culprit now is my walls which I’m guessing has an STC rating of 40. I can still hear certain vehicles drive by, but now only big trucks or motorcycles and they are faint enough that it doesn’t bother me. The QuietLines has two windows in one, almost like a double hung inside a double hung. It explains the big price tag, I’m sure there are other solutions but I wanted one that would fix it for good. I’m glad I did. I’m am trying to decide between the Ultra fiberglass window and Andersen 100 Series Fibrex. TheAndersen is quite a bit less expensive, but only comes with a 10 year warranty. The Ultra is a full fiberglass inside and out — they have a Woodclad option that uses an interior wood veneer. has a limited lifetime warranty but is more expensive. I’ve read from several industry “insiders” that say they don’t like the Andersen 100 Series Fibrex, but they didn’t say why exactly. Lots of people seem to like the Marvin Integrity Ultrex (also fiberglass) – this window seems to have two options; a wood interior or a fiberglass interior — the Integrity is less expensive than the Milgard Ultra. I’ve heard the downside on the Integrity is less options and custom sizing. 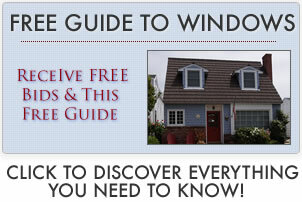 See all of our Marvin Integrity windows reviews. I have installed both the Ultra and the Marvin Infinity – I would say this; the casements are probably equal in quality but I’d go with the Infinity in the double hung. I think it’s a better window. Milgard pulled the DH (twice actually) in order to fix design flaws and was off the market for 3 years. There were issues with the compression jambs (water and air could pass through), paint finish, poor screens, etc. Milgard does offer a better warranty (than say Marvin), but unfortunately their customers tend to need it more often. Another problem on the Milgards is the quality of installers. Certainly not all, I just don’t feel that they have as high of standards when it comes to their distributors as does Marvin. I put a good amount of emphasis on installation (maybe I’m biased since this is my profession but I don’t think it’s a stretch…) so this is where lots of focus should be placed when considering any product. I am busy gathering quotes on replacing sixteen windows. One is a picture window and the balance are single hung windows. So far I have three quotes, two are for Cascade, the one is around $4,000 and the other is for $4,600. The third quote is for Milgard Tuscany at $5,000. Budget is a big factor in my decision, but at the same time I don’t want to end up with poor quality windows. My main criteria is energy efficiency and a window that works. I believe the Milgard warranty includes a glass breakage policy, but working it out I would need to break a few windows to make this a worthwhile option. Any assistance is appreciated. Thank you. I would go with Milgard over Cascade windows. They are a good quality window with a fantastic warranty and service. You will not be disappointed paying that extra $1,000 for these windows.